When a Ridgeline is combined with a Pioneer 1000 side by side, good things happen. 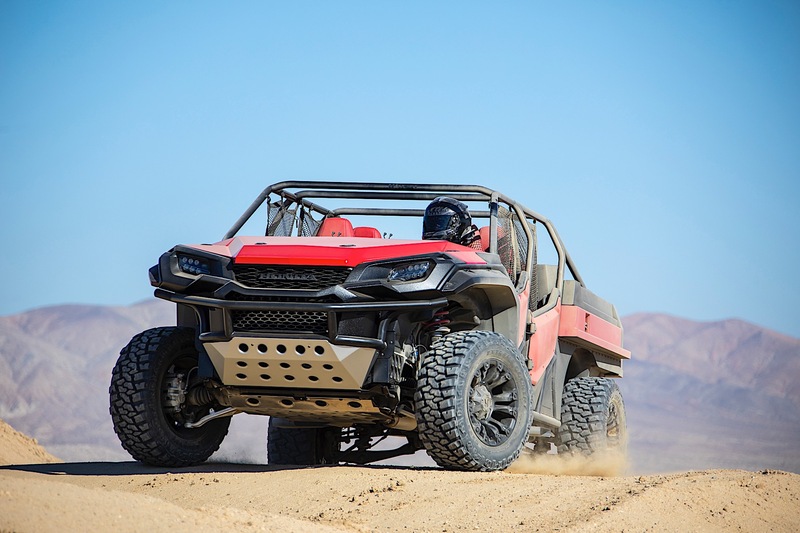 Now in its second-generation, the Honda midsize pickup truck known as the Ridgeline, joins a lineup of products that include ATVs, generators, and marine engines. 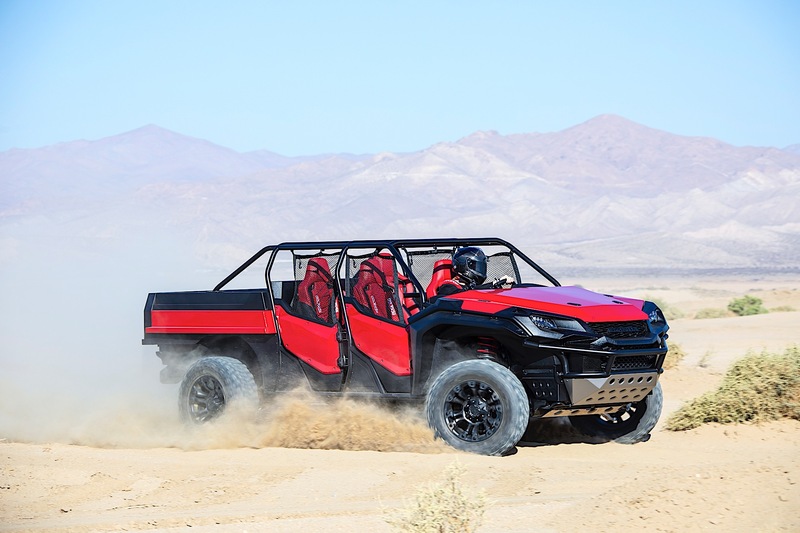 In a 2018 SEMA Show mashup, Honda took a Ridgeline and a Pioneer 1000 side by side to create the ultimate Honda ATV concept. 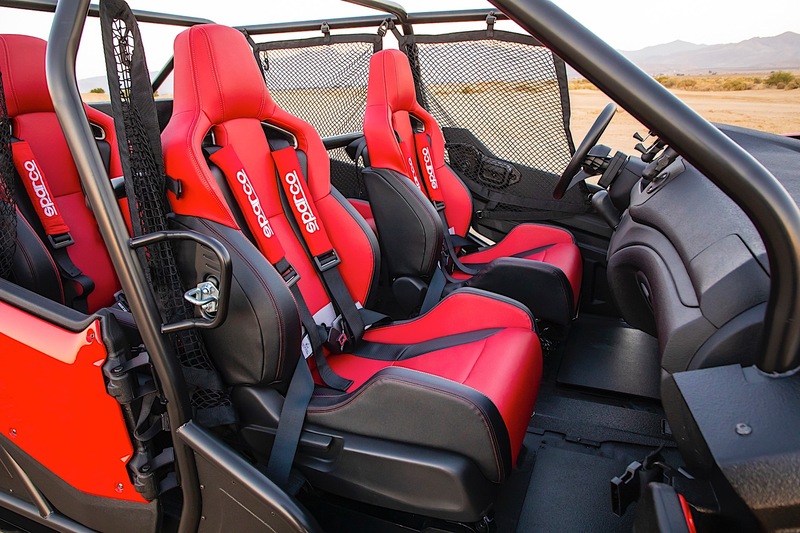 The Rugged Open Air Vehicle Concept is ready to attack the sand dunes of the world. 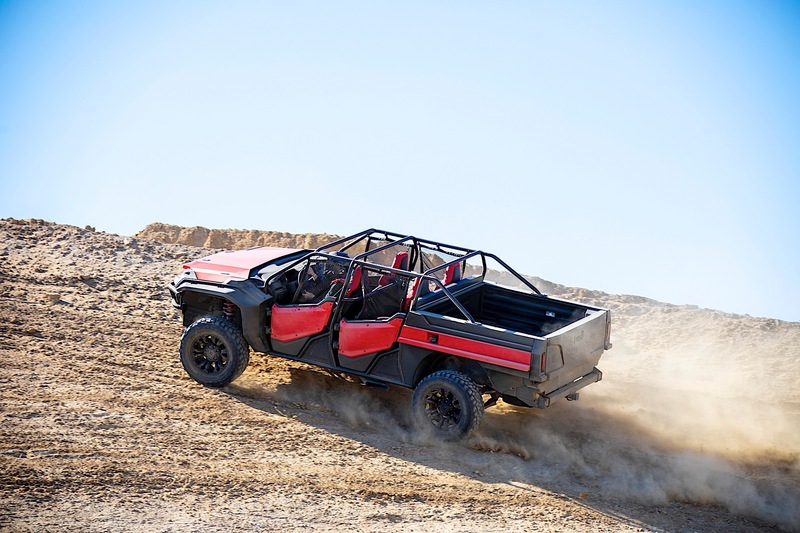 The Rugged Open Air Vehicle Concept is based on a modified Ridgeline body and suspension. The bed area and tailgate are custom design pieces that would look right on the Pioneer 1000. The Pioneer 1000 side by side did donate a set of doors for this project, replacing the stock Ridgeline doors. Inside, the Ridgeline interior is modified to be exposed to the elements. Seats from the popular Civic Type R hot hatch are upholstered in the same waterproof material used on the Pioneer 1000. A Pioneer 1000 steering wheel also sacrificed itself for the project, being modified so that it'd fit the Ridgeline's steering column. 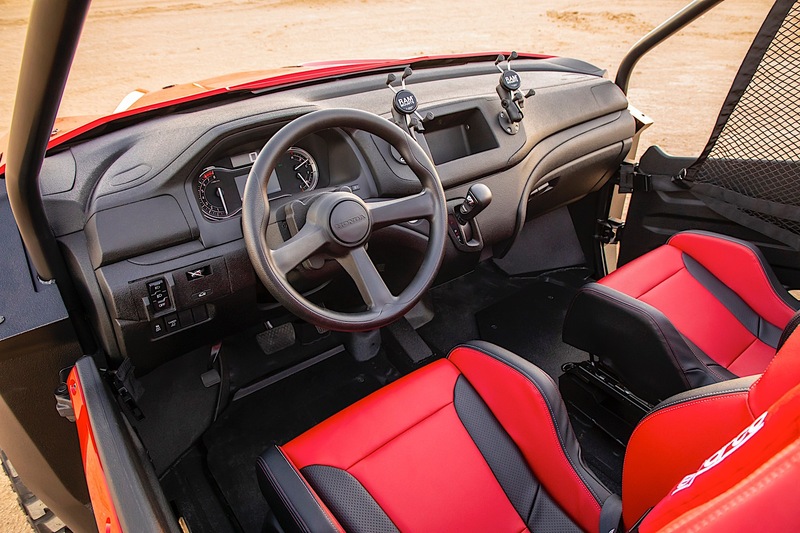 Additionally, Ram Mounts’s cell phone holders are added so that you can keep your phone in easy reach even while you’re on the dunes, and durable painted surfaces were added to the instrument cluster to keep the elements from interfering with gauge operation. 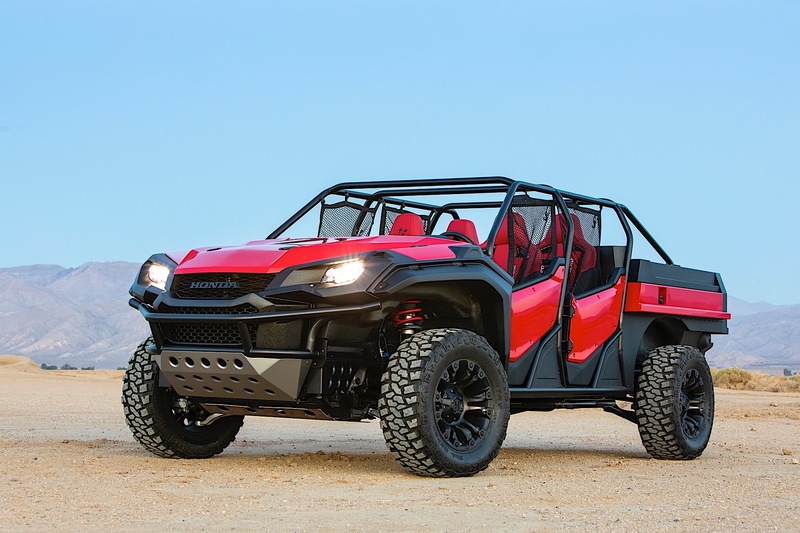 The Rugged Open Air Vehicle Concept was developed by Honda R&D Americas, and is strictly a concept. 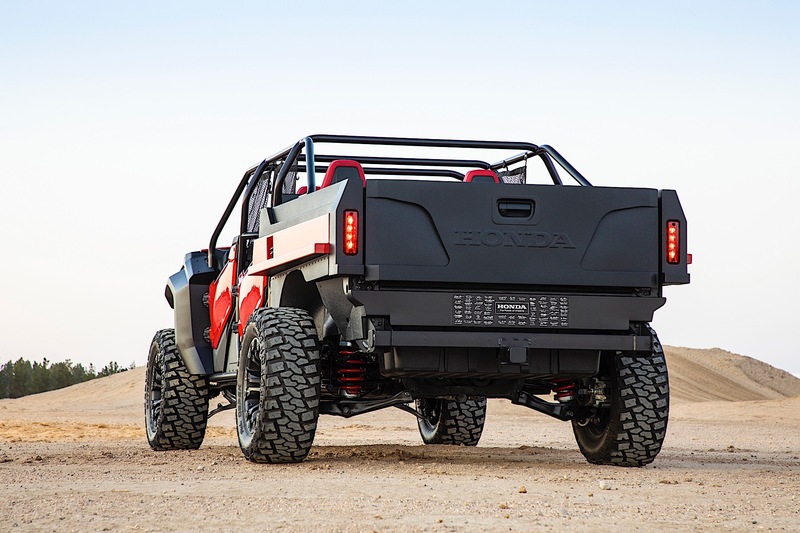 While strictly a SEMA show car, the concept shows that Honda cares about the Ridgeline and could be an indicator that Honda might introduce a more off-road focused Ridgeline in the future. Don't worry America, your trucks are safe as the Ridgeline is manufactured here in the U.S.A. Forget stump pulling and head for a drive-in.